forever change depending on how the night proceeds. of one of our most beloved characters. Will the murderer turn out to be the mysterious maiden who lost her true love? The sinister stepsister who has more foes than friends? A pouting princess unwilling to give up what is hers? Or possibly, a fairy who fearlessly battles the powers of dark magic. condemn the culprit or will a vindictive and vicious villain go free? Clean versions are void of references to extra-marital affairs, alcohol and/or illegal drugs. More conservative groups often use clean versions for their mystery of choice. Teen mysteries have a slightly more simplified storyline and are formatted clean (void of references to alcohol, illegal drugs and/or extra-marital affairs). Non-murder version includes someone fainting, instead dying. Clean versions are void of references to extra-marital affairs, alcohol and/or illegal drugs. Teens and more conservative groups often use clean versions for their mystery of choice. Determined to prove to Snow and the entire kingdom that she has changed her wicked ways, this member of the royal family will do anything to establish her benevolence. As Contessa’s assistant, Imelda will do anything to demonstrate her devotion to the queen … and possibly win the crown in the pursuit. Distraught over the missing dwarves, Snow’s only source of comfort is Contessa. It seems that even some of Snow’s closest friends have turned against her. Once Snow’s closest confidant, lately Alice’s attention has been focused on other matters. Curiosity once killed the cat, let’s hope the same fate does not ring true for Alice. Cinderella has all the right qualities to be the next queen… or so it appears. Awake from her extended slumber, this princess is determined to one day rule the kingdom. With 15 years of recent rest, Briar Rose has some serious catching up to do, and she is not wasting a second! 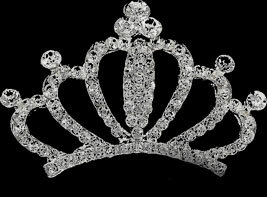 Kingdom News and other tidbits about the other guests attending the Fairest of Them All Ball!!! CONTESSA—EVIL QUEEN. Determined to prove to Snow and the entire kingdom that she has changed her wicked ways, this member of the royal family will do anything to establish her benevolence. IMELDA—CINDERELLA’S STEPSISTER. As Con-tessa’s assistant, Imelda will do anything to demonstrate her devotion to the queen … and possibly win the crown in the pursuit. SNOW—SNOW WHITE. Distraught over the missing dwarves, Snow’s only source of comfort is Contessa. It seems that even some of Snow’s closest friends have turned against her. ALICE—FROM WONDERLAND. Once Snow’s closest confidant, lately Alice’s attention has been focused on other matters. Curiosity once killed the cat, let’s hope the same fate does not ring true for Alice. CINDERELLA—LEGACY PRINCESS. Cinderella has all the right qualities to be the next queen… or so it appears. BIPPETY—CINDERELLA’S FAIRY GODMOTHER. After a lifetime of guidance, this maternal figure will not let her protege lose her way or her title! BRIAR ROSE—SLEEPING BEAUTY. Awake from her extended slumber, this princess is determined to one day rule the kingdom. With 15 years of recent rest, Briar Rose has some serious catching up to do, and she is not wasting a second! TRINITY—BRIAR ROSE’S FAIRY GODMOTHER. Distraught over her past maternal mistakes, Trinity will do anything she can to make all of Briar Rose’s wishes come true! EZRA—CINDERELLA’S STEPSISTER. As Briar Rose’s attendant, Ezra is determined to use Briar Rose’s popularity to make all of her desires come true. ARIEL—THE LITTLE MERMAID. A social outcast in the kingdom, Ariel has struggled to fit in. Since becoming the kingdom’s wedding planner, will Ariel be satisfied with this subservient role or use it to procure a more desirable one? RUBY—LITTLE RED RIDING HOOD. While away tending to her ailing grandmother, Prince Philip (Ruby’s beau) proposed to a princess. Hurt and confused, this maiden is relentless and will not let her true love escape. JASMINE—PRINCESS. As the kingdom’s matchmaker, Jasmine has been known to both help and hurt relationships among the couples she pairs. Cinderella’s being the most recent. LILY— FROG PRINCESS. A victim of a broken heart, Lily’s relationship may not be fixable. However, this doesn’t mean that she isn’t willing to take down those responsible for her sadness. TINKERBELL—FAIRY. A hopeless romantic, Tinkerbell will stop at nothing to make sure that true love wins out over dark magic at any cost! 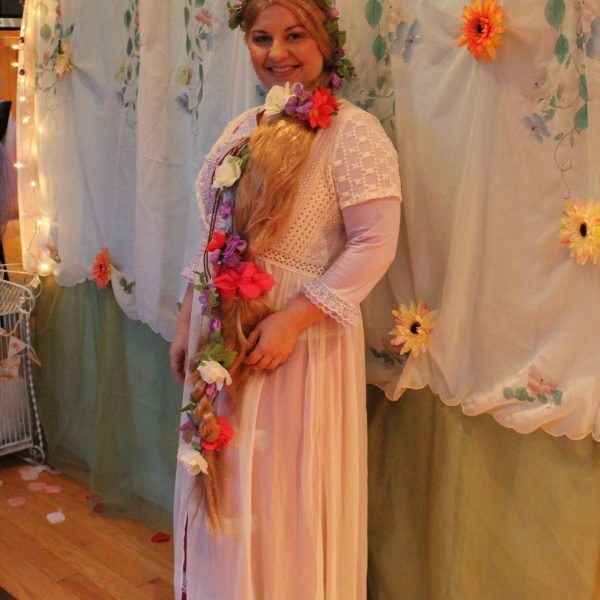 RAPUNZEL—PRINCESS. Locked away in a tower for years, there are few things Rapunzel will die for… however, preservation of her tower is one of them! CUDDLES —BABY BEAR. After having spent her whole life searching for justice, Cuddles is ready to prosecute Goldy fully for her crimes. With Briar Rose and Bo Peep slated to testify, there is nothing to stop Goldy from going to jail! BO PEEP—SHEPHERDESS. Another lost sheep has Bo Peep’s job on the line. If Bo can find a scapegoat, she may just get off scott free! GOLDY—GOLDILOCKS. 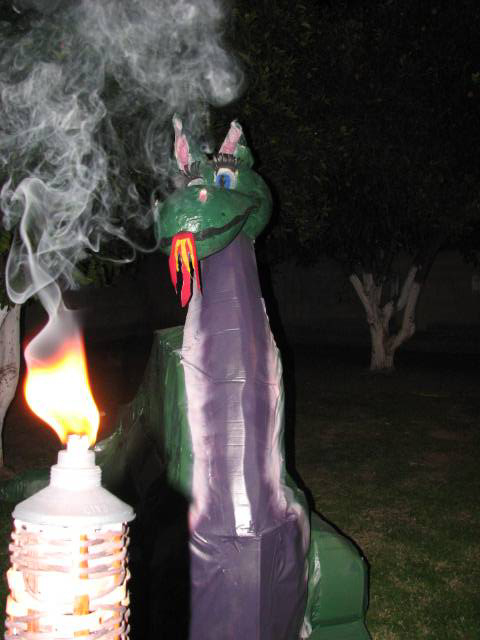 Under fire from her peers, Goldy may have to retreat to her old ways to get herself out of a bind once again! GRETAL—WOODCUTTER’S DAUGHTER. Over- joyed that Briar Rose has awoken, Gretal cannot wait to have her name cleared from the deadly homicide charges that have plagued her since childhood. MUFFY—LITTLE MISS MUFFET. With a budding tuffet factory to attend to, Muffy’s priorities lie in maximizing profit and pleasing her associates. MATILDA—QUEEN OF HEARTS. This ruthless ruler has no jurisdiction in the land of Once Upon A Time, but may be called in to get some answers if something goes awry. **Some characters may not be included, depending on which version you order. Click on the characters’ names above to follow links to the stories where these characters originated. What will you wear to the ball? 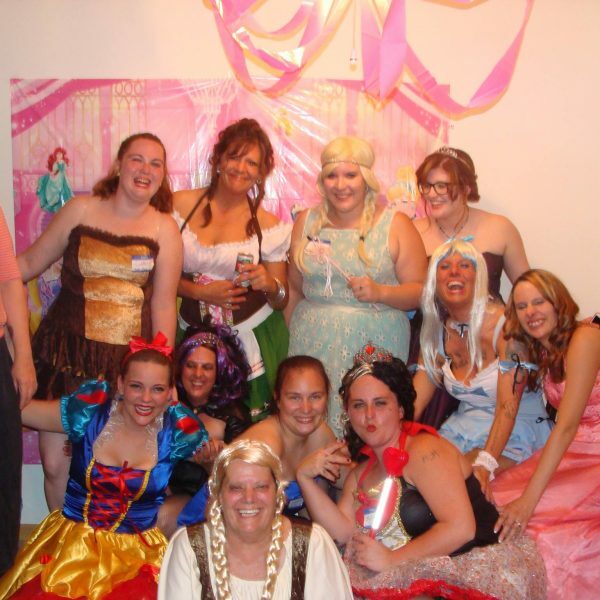 How to deck out your castle to make your party princess-ready!!! • Have a trumpet sound effect announce guests as they arrive. • Have a red runner up to door. You can order one here. 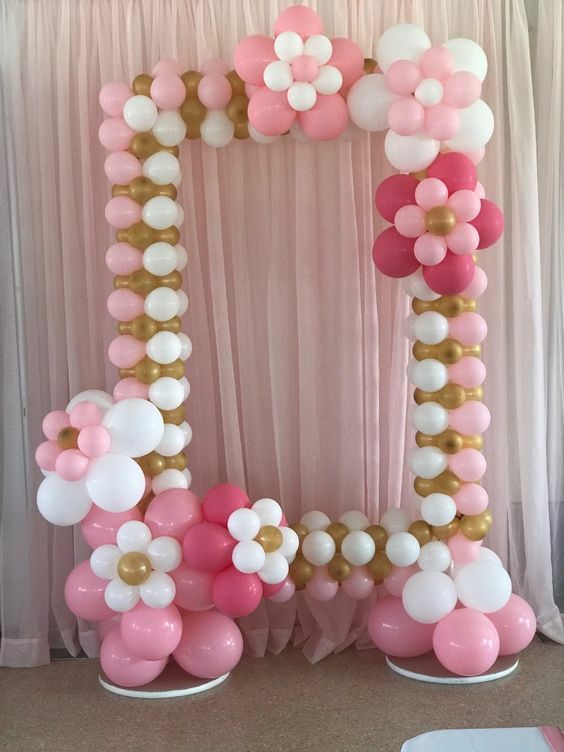 • Create a balloon arch out of pink, white and silver balloons for your princesses to walk through. 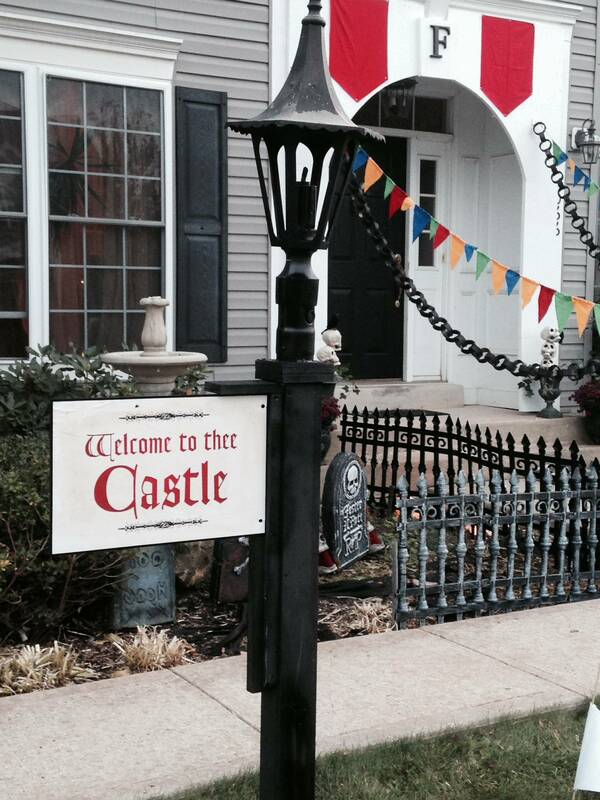 • Have castle guards and/or the evil queen greet your guests as they enter. 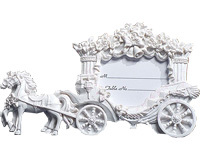 • Park a fairytale stagecoach outside. 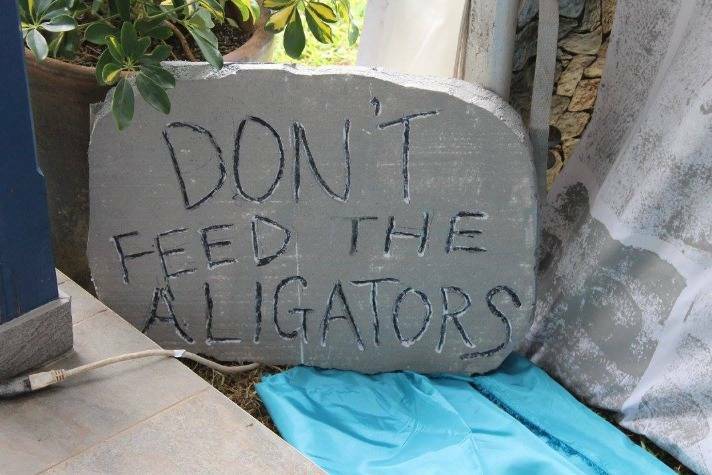 • Hang your “Stagecoach Parking” sign (included in packet) to direct your guests where to park. 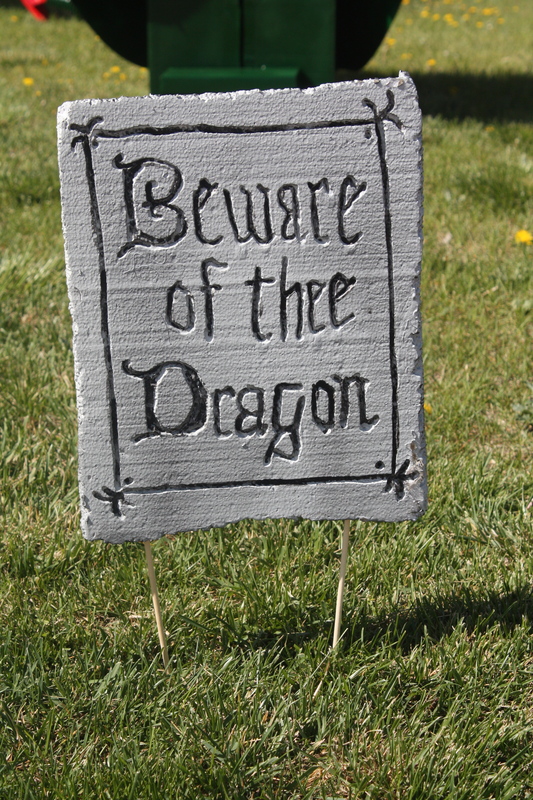 • Hang a “Once Upon A Time” sign as your guests enter. 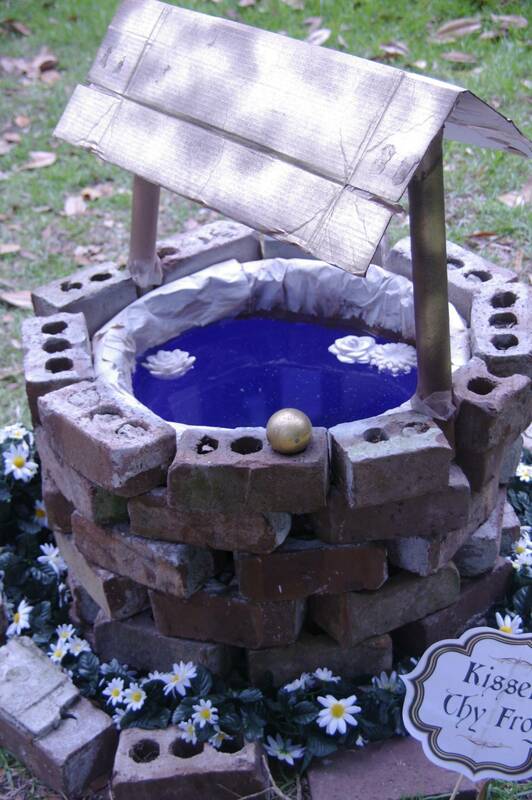 • Create an “enchanted forest”outside the party space – Litter space with fairies, gnomes, elves, etc. 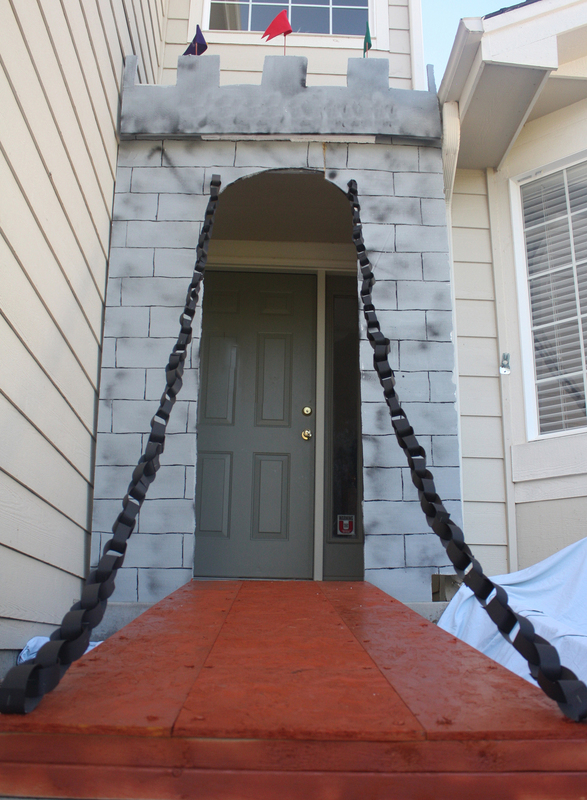 • Make a black construction paper chain to simulate large chains for your drawbridge or dungeon. 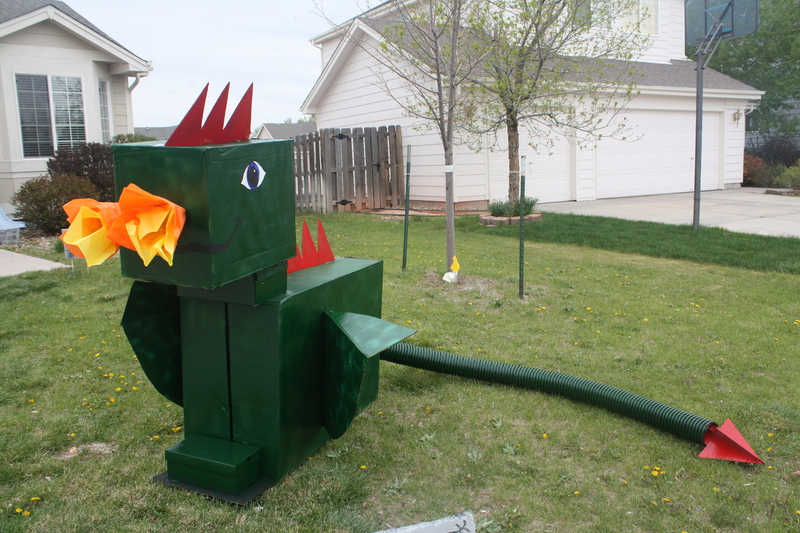 • Create a dragon out of carboard boxes and spray paint to guard your castle. 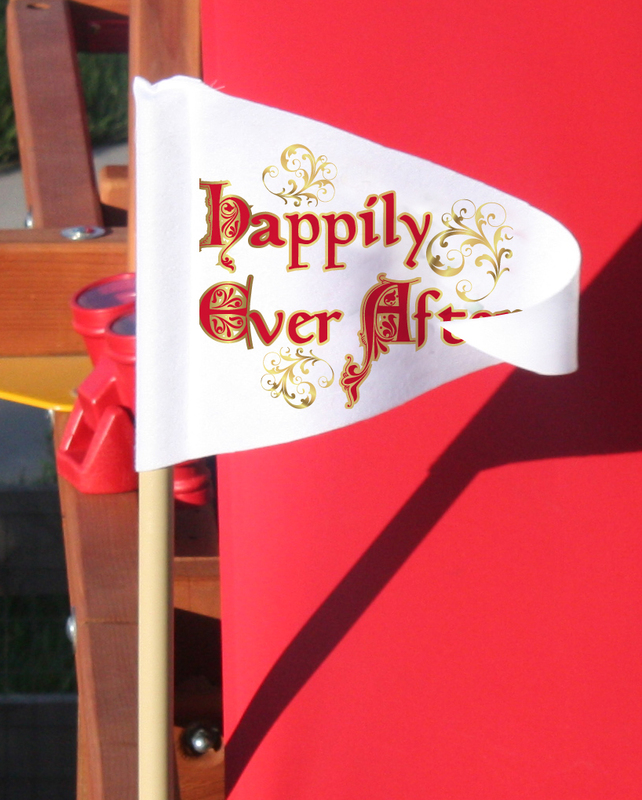 • Make some banner flags to fly for your kingdom of Happily Ever After (directions and templates included with mystery). • Use stone wall scene setters to easily and inexpensively give you castle walls. • Make an elaborate ballroom floor with plastic “marble” laminate tiles (found inexpensively at local hardware store). You can piece them together on an old sheet of plywood. 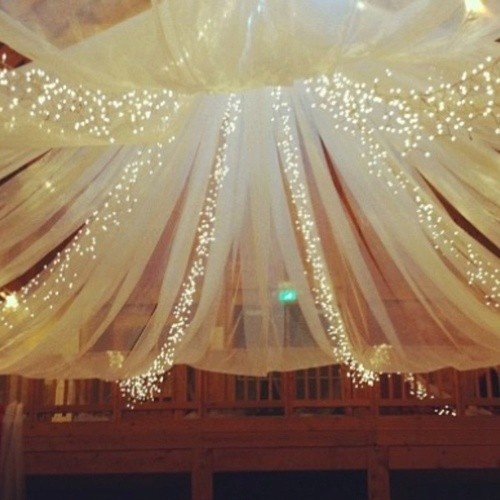 • Hang as many white twinkle lights as you can find to give your party a magical, mystical feel. • Have the Queen’s riches on display. • Create a throne by spray painting a chair gold. Add a bit of regalness with a velvet cushion or accent. • When the characters read the introduction, investigation report, evidence presentation & solution, have them presented on a scroll. 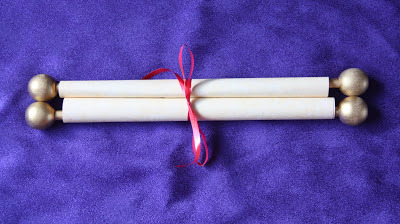 (Follow directions on how to make a scroll invite—included with party packet.) OR have them sealed with a wax seal. 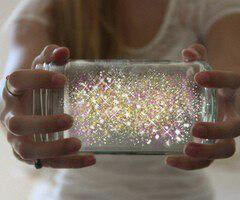 • Make Fairy Dust lanterns and place throughout the party space. Find directions here. 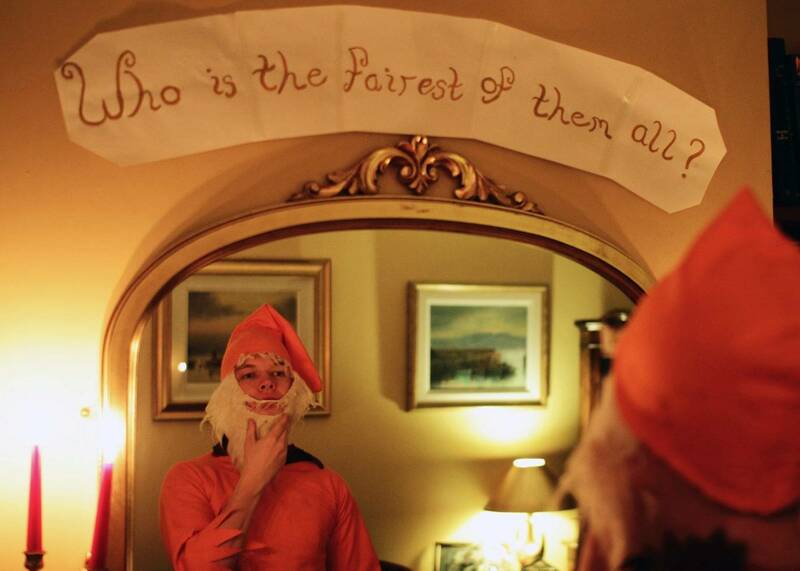 • Hang a large mirror with a sign above it that reads: “Who is the fairest of them all?”. (Designed sign included with packet – you just print it out and hang on/by mirror.) We printed ours on clear paper and hung it directly on the mirror. 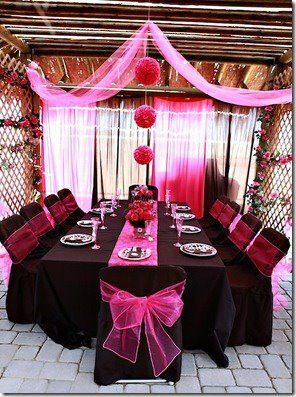 • If throwing party in daytime, use stained-glass window clings to transform your windows. • Tiny plastic fairies, dragons, gnomes and other fairy tale creatures may peek out from potted plants, behind curtains and from the tops of windows. 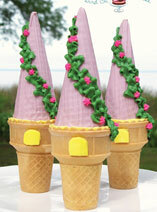 • Consider garden gnomes in and around your party space. 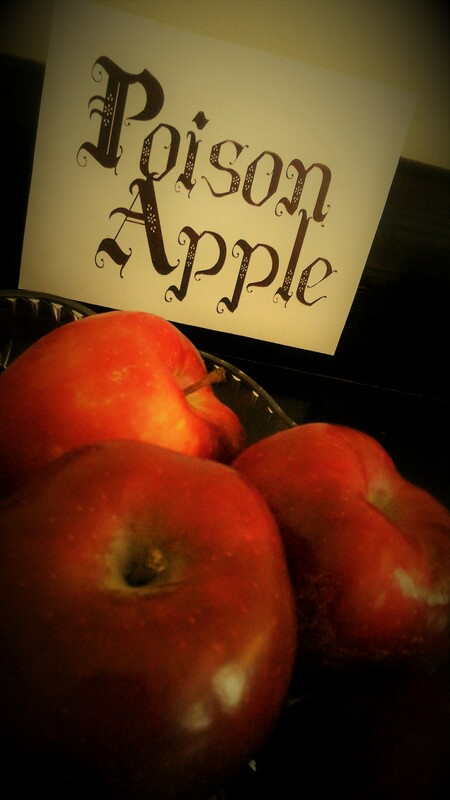 • Have a bowl full of red apples with a “POISON” sign on it. 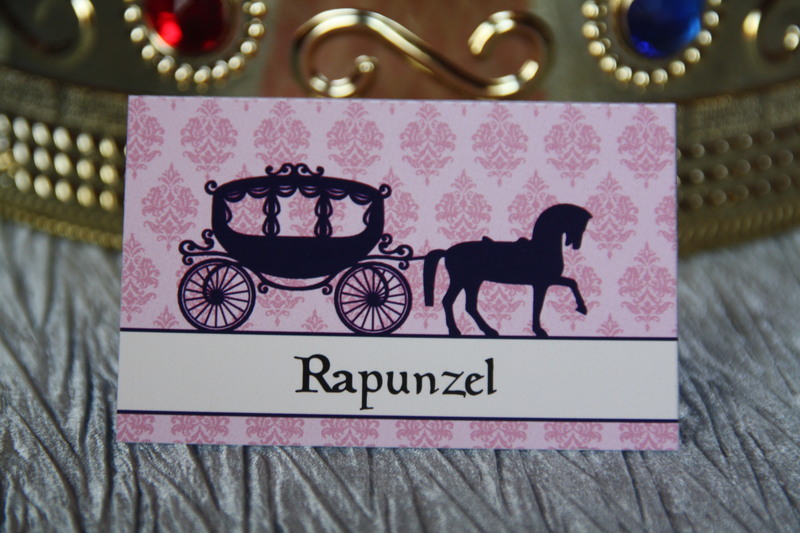 • Set table with fairytale stagecoach place cards for each guest. SEE HERE. 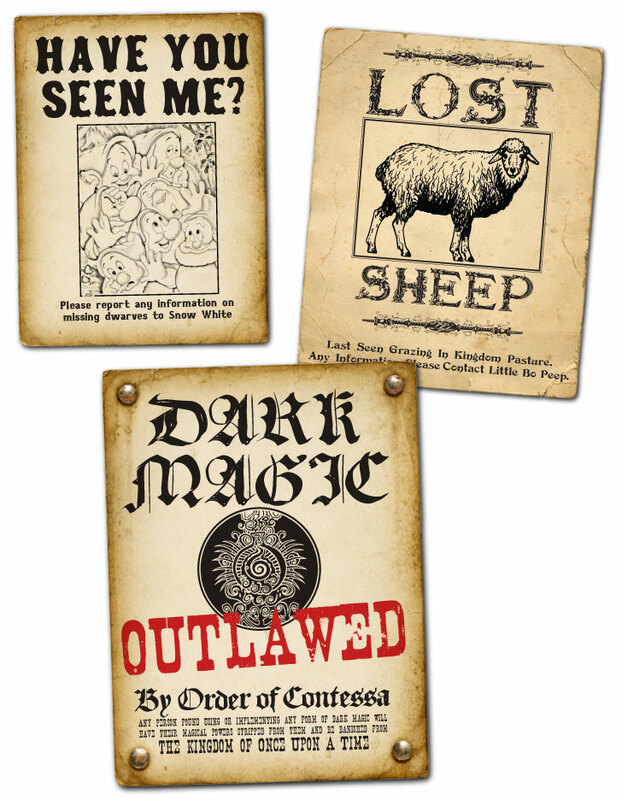 OR, create your own placecards (designs included in mystery). 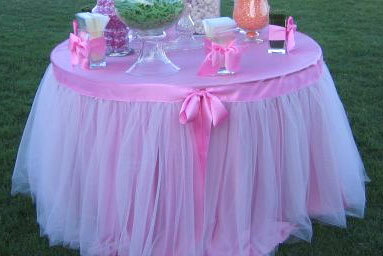 • Make a pink table skirt out of tulle. Directions here. • Construct one long table for dinner. Use a brightly colored or metallic piece of fabric for a runner. • Drape table with gossamer and put white twinkle lights underneath to illuminate. • Decorate the table runner with gold fabric paint. 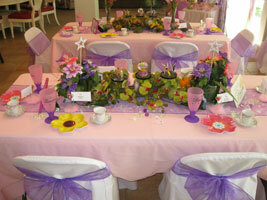 • Include jewels glued to the edges of tablecloths and gold, pink or silver-toned paper plates, cups and silverware. • Purchase gold or pink colored plastic cups and hot glue fake jewels to the outside of the cups. • Use a centerpiece of white roses (fake or real) in a clear vase filled with sparkly gems or beads. 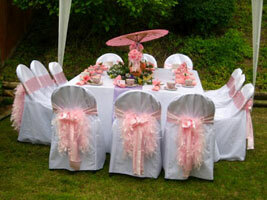 • Finish off by tying a tulle fabric bow onto each chair. 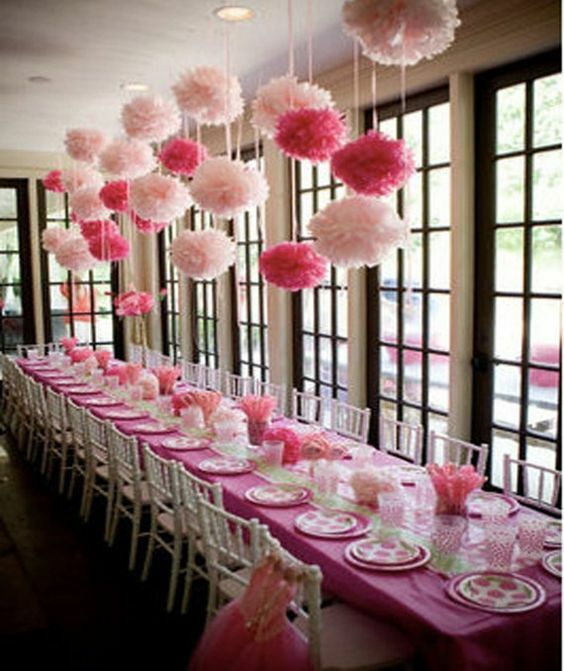 When considering the lighting for your party, you will not want anything too harsh or bright. • Electric candles set inside plastic lanterns and suspended from the ceiling or set on tables provide light. Give your guests an unforgettable souvenier by setting up a photo area where they can capture a picture of themselves in character. • Accessories and decorations can make the difference. 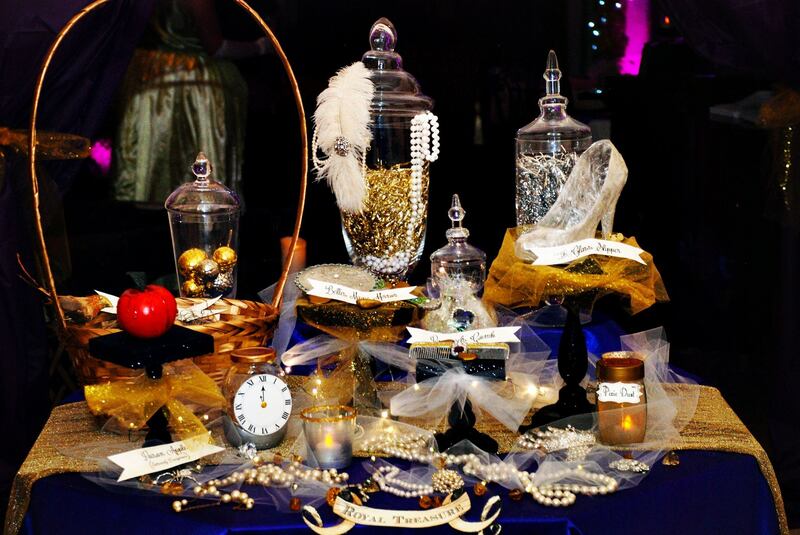 Have some extra props on hand that your guests can pose with. • Make sure there is enough room to fit everyone in to the frame. o Consider your character list and which character would fit the role of taking the picture. Ie, if you want mug shots, perhaps ask the investigator to be in charge of taking the pictures. 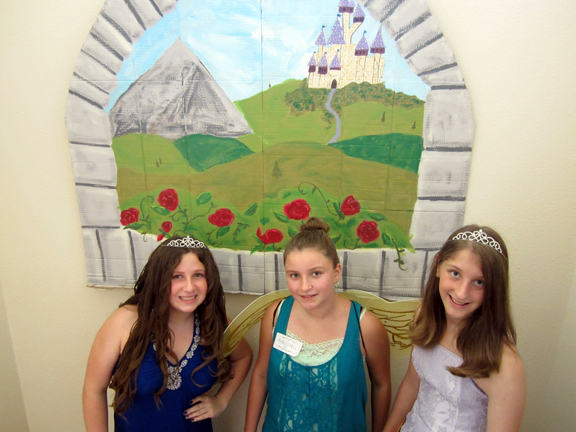 • Create a “castle wall” backdrop using scene setters or directions in mystery. 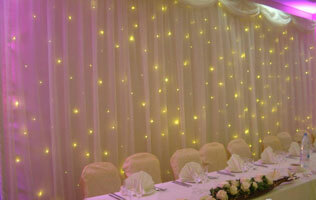 • Decorate a deep blue sheet with some stars for a magical night feel. 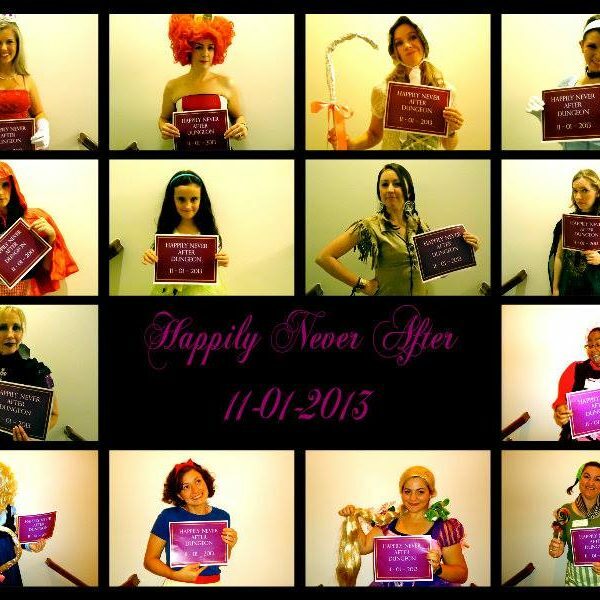 • Make a large banner that says “Happily Never After”. 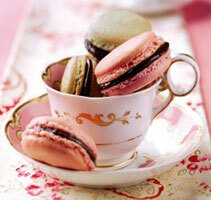 One option is to serve a number of pink delicacies! 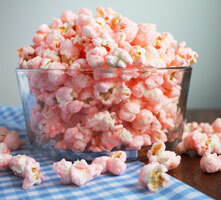 Pink champagne, pink lemonade, pink popcorn, pink maccaroons, etc. You name it. 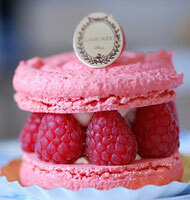 Check out this website for more ideas and recipes for pink food. 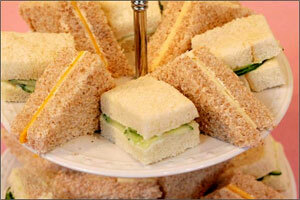 For princess party food you could look to the English tradition of ‘Afternoon Tea’ for inspiration. 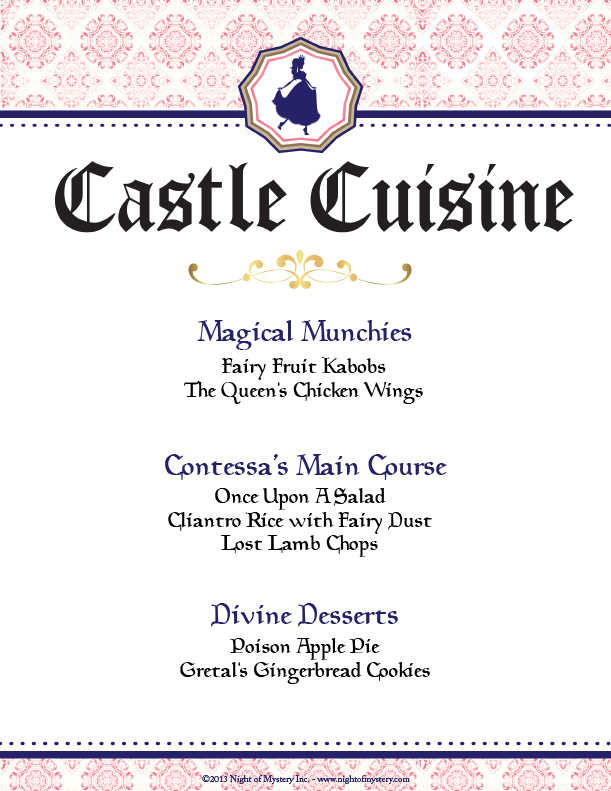 Any princess or maiden would love a menu filled with food that is delicate and lady-like. Traditionally, afternoon tea comes served in teapots with tea cups and saucers alongside bite-sized sandwiches cut into small triangles with the crusts removed. All the sandwiches are usually presented on a tired cake stand accompanied by a selection of small cakes or scones with jam and Devonshire (clotted) cream. If you want to make the sandwiches a little less formal, use cookie cutters to shape them into crowns, castles and glass slippers to turn them into princess party food. 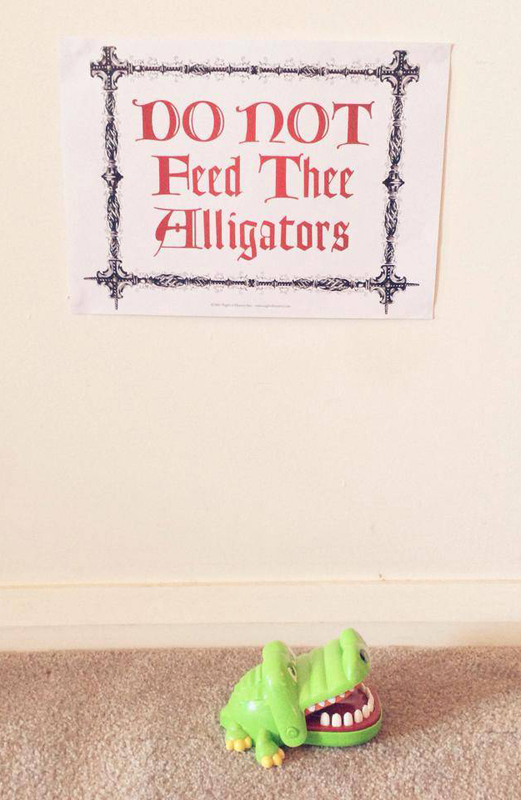 Don’t forget to include some frog shaped ones too. 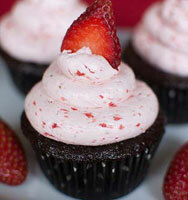 You can go wild making other sweet treats and yummy desserts in small portions! 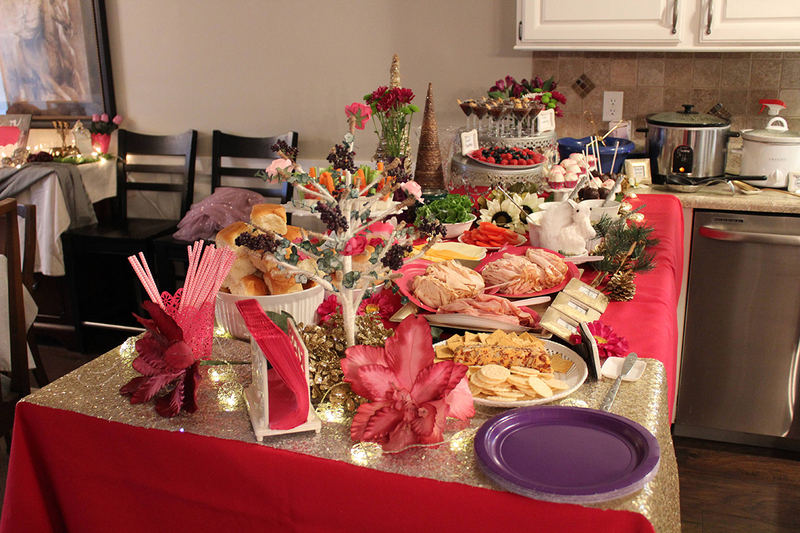 If serving a meal, consider a grand buffet for your Fairest of Them All Ball. • There are many, many recipes on the internet for this theme. Simply decide what you would like to serve (roast chicken, lamb, et.c) and then search for the recipe that you desire. • Try to make your food something that is easy to prepare ahead of time and takes little to no preparation as the party approaches. 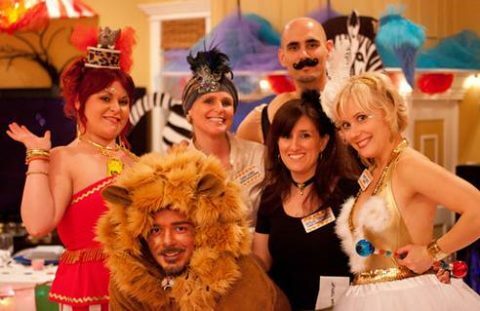 • To pull through the theme for your party, you can name your foods to reflect the stories and storylines that are interwoven throughout Happily Never After. 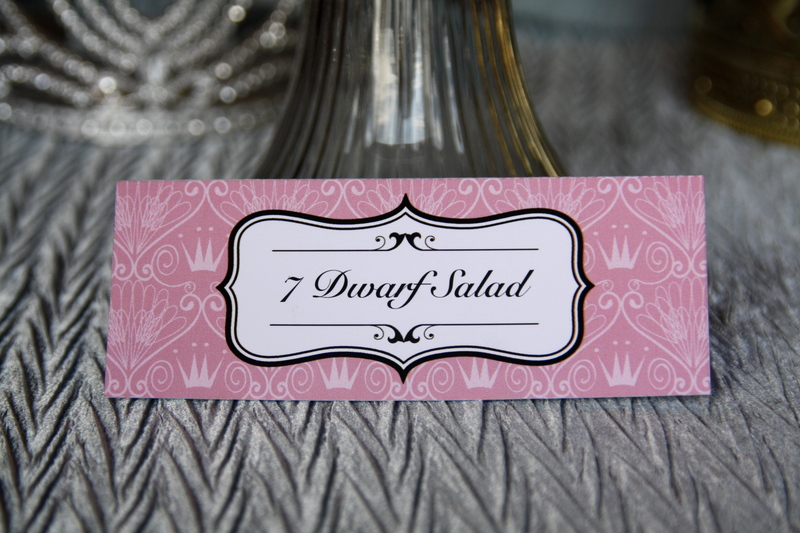 A Seven Dwarf Salad, The Queen’s Chicken Wings, Poisonous Apple Pie, Magical Mushroom Caps, are a few examples. • Some other words we’ve found: prince, princess, king queen, evil, elfly, cursed, enchanted, cruel, maiden, sleeping, loyal, true, storybook, whimsical, magical, mystical, etc. In addition, you can use any of the character’s names to describe your food and beverage. IT’S ALL ABOUT THE CHARACTERS! 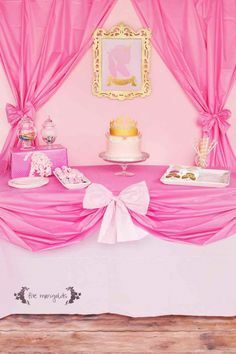 Accentuate your dessert table with any or all of these Fairy Tale themed desserts! 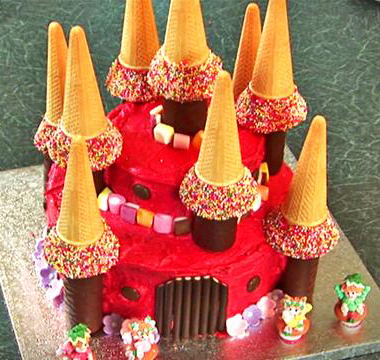 • Create a Castle Cake (see many examples here). 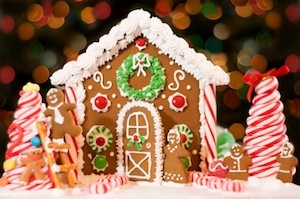 • Gingerbread house – in honor of Gretal, who will be attending. 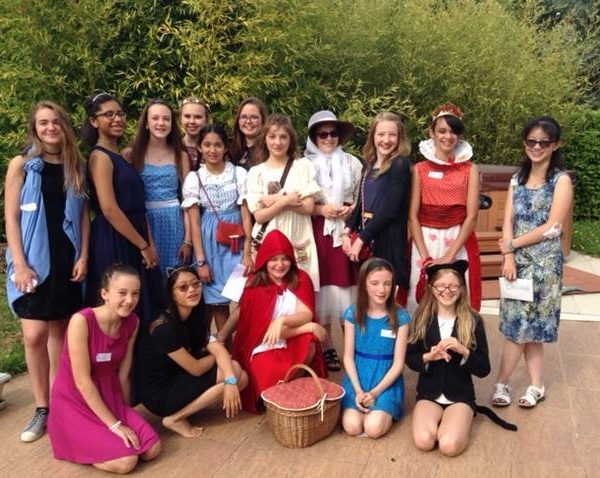 • Have a basket of Little Red Riding Hoods Goodies – sticky buns, baked goods and/or sweets! 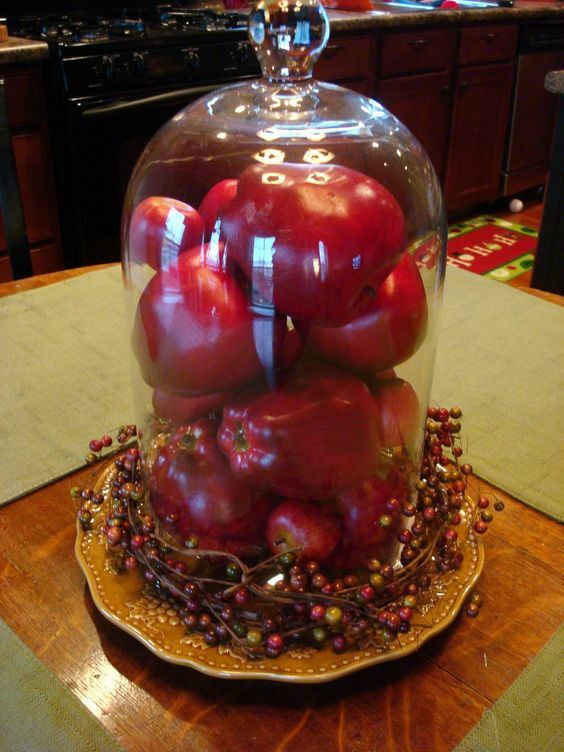 • Poisonous Apple Pie or Carmel Apples. • How about some edible magic wands? Recipe here. 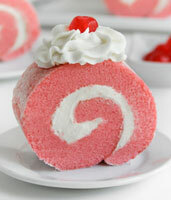 In many instances, your dessert can act like your centerpiece for the beginning of the party… until you eat it! 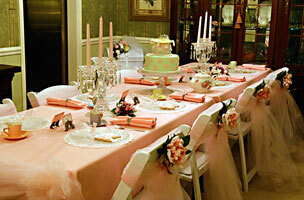 • Set table with fairytale stagecoach placecards for each guest. SEE HERE. To set the mood for your party, you he music for such a theme can come from one of the many soundtracks for the fairy tales. If this is not music you will listen to in the future, consider borrowing it from your local library. Ideas, tips, tricks, etc. 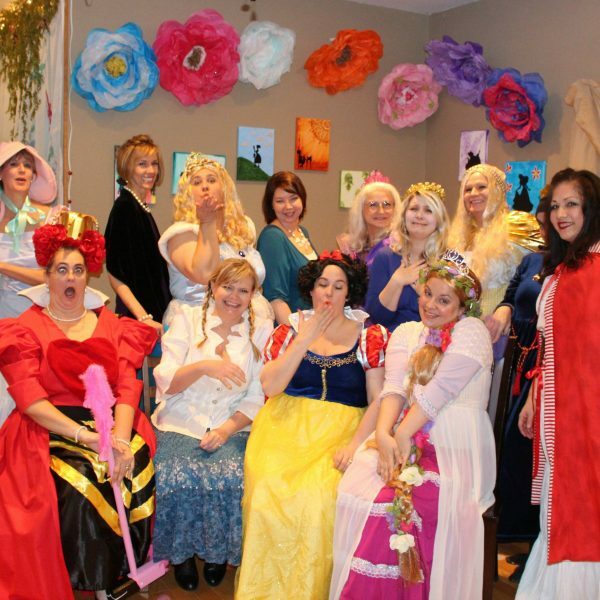 to help you go above and beyond as a hostess with the hostess for your Happily Never After party! How to win a FREE party!!! 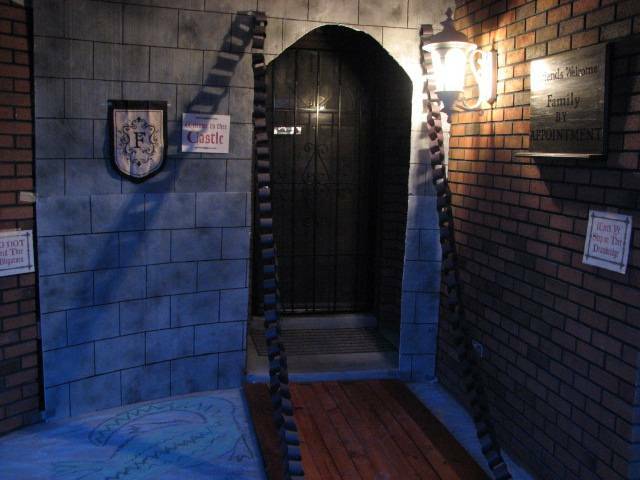 With this mystery theme, you have a unique opportunity tomake special themed invitations to help create even more excitement for your party! 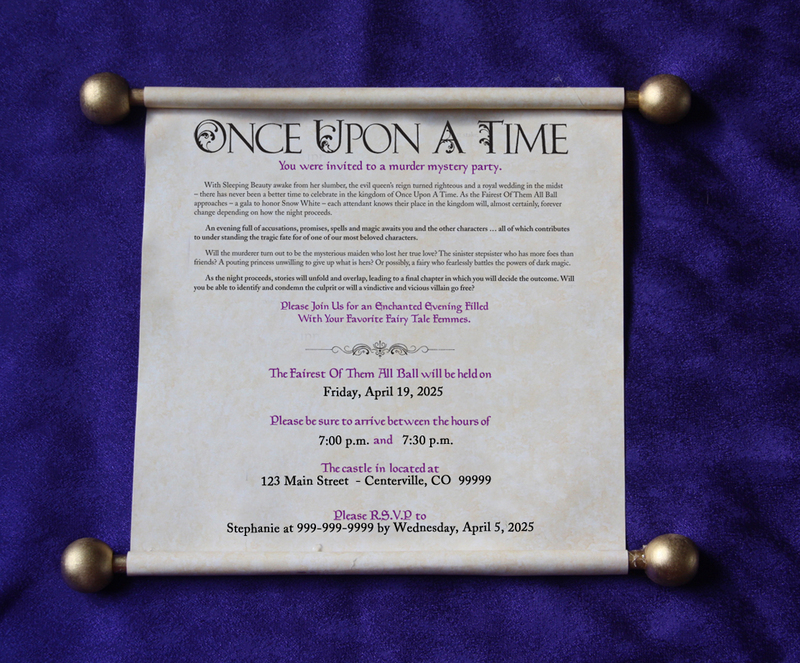 Along with this mystery, we have included templated, editable design that allows you to enter in your party information and print out on parchment (suggested) and create a scrolled invite for each of your guests. 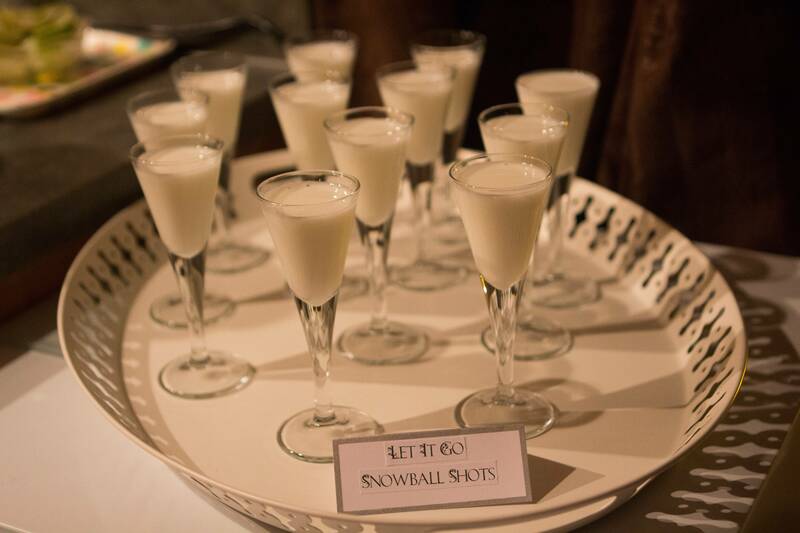 This is one way to be certain your guests are excited for what’s inside… and for what’s to come at the party! Check out some of these movies or t.v. shows! These productions depict some of the fairy tales and fairy tale characters that you will find in Happily Never After and its genre. 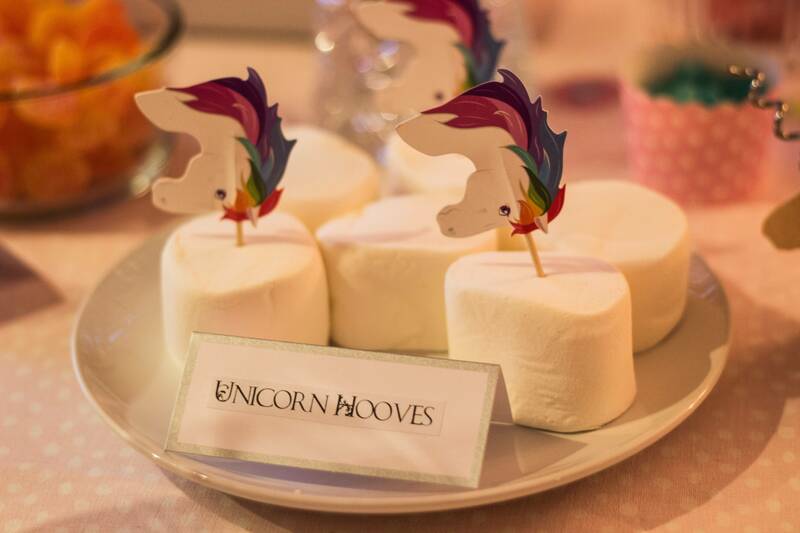 Not only will they help get you in the mood for throwing the party, but can provide inspiration and ideas on other things you may want to do when hosting your Happily Never After Party! 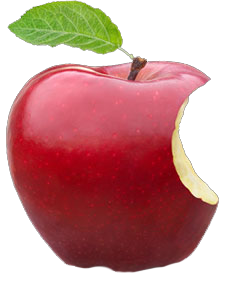 Check out: Tangled, Snow White and the Huntsmen, Mirror, Mirror, Snow White and the Seven Dwarfs, Aladdin, Once Upon A Time (t.v. series), Grimm (t.v. series), Cinderella, Shrek, and Hoodwinked. Or you can pick your own from this list of fairy tale movies. 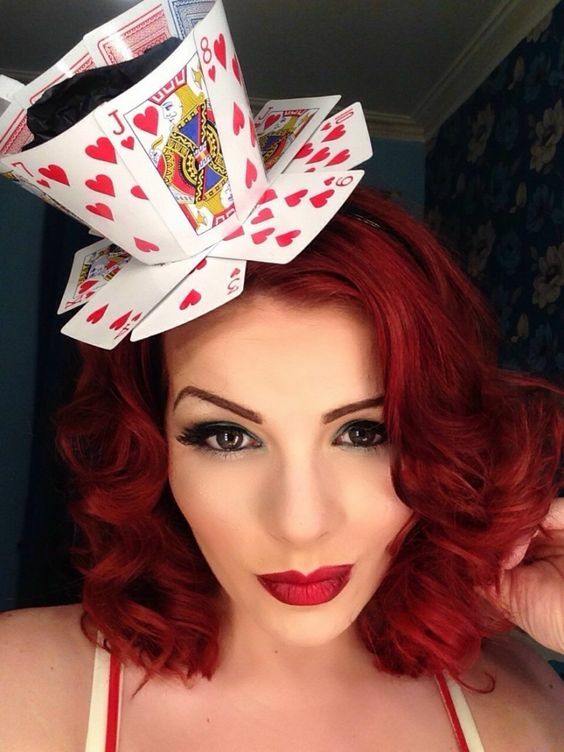 ALSO, Check out Our PINTEREST BOARD for loads more ideas for your Happily Never After party!!!! 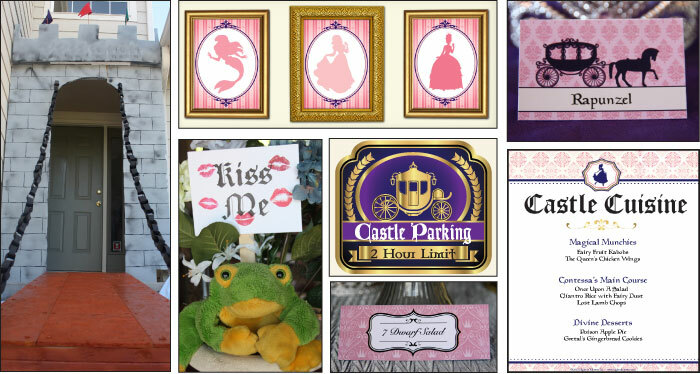 Castle Parking, Privy, Queen’s Quarters, Grand Ballroom signs. 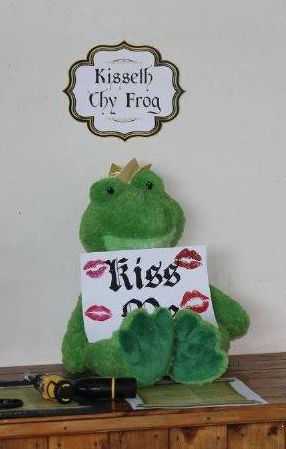 Simply print out and hang around your castle. 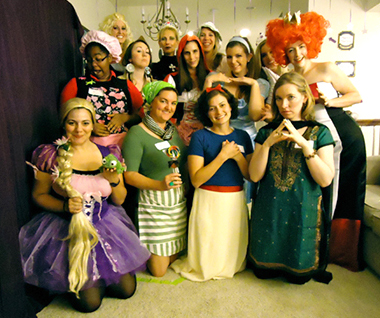 All of the information regarding how to run your Happily Never After party can be found online at Night of Mystery. We highly suggest that you take time to look over our website and download the Happily Never After preview file. Upon reading the introduction file, it will give you a better understanding about how the parties are run and what to expect once you purchase a full mystery file. Check out some of these movies or t.v. 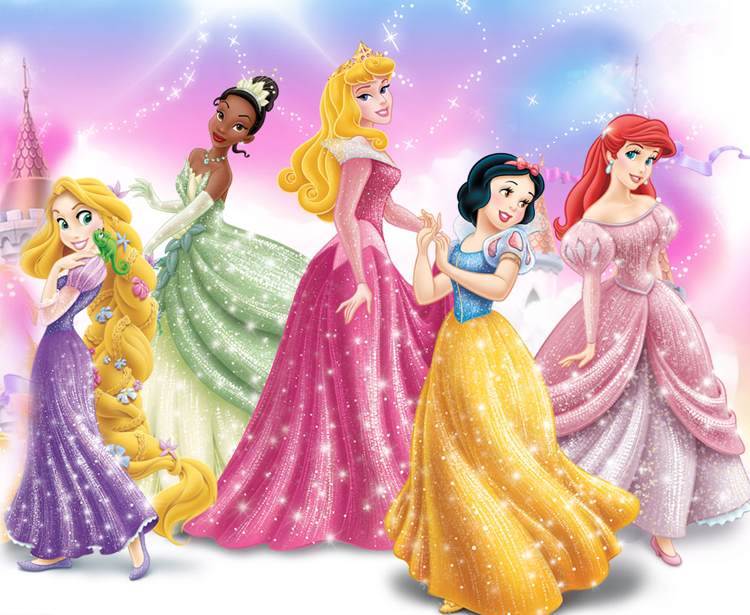 shows that depict some of the fairy tales and fairy tale characters that you will find in Once Upon A Murder: Tangled, Snow White and the Huntsmen, Mirror, Mirror, Snow White and the Seven Dwarfs, Aladdin, Once Upon A Time (t.v. series), Grimm (t.v. 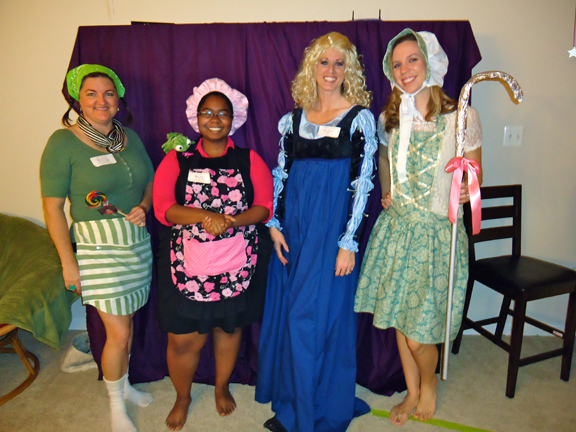 series), Cinderella, Shrek, and Hoodwinked. 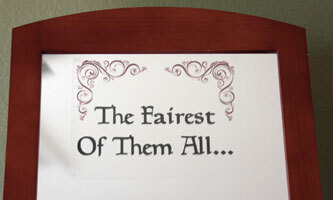 Or you can pick your own from this list of fairy tale movies. 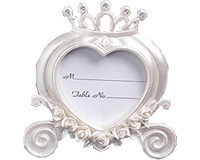 - Be sure to check out our Happily Never After Pinterest Board that is filled with ideas for recipes, costumes, decorations, etc. 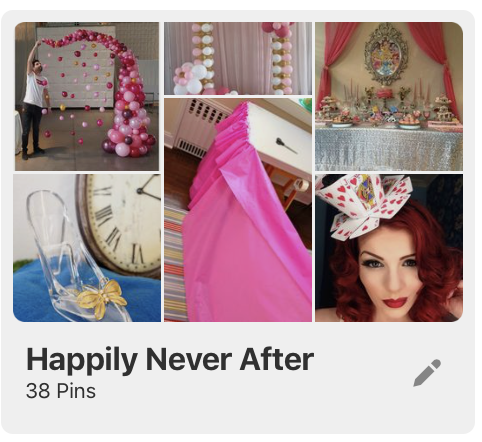 Check out our Happily Never After Pinterest Board! 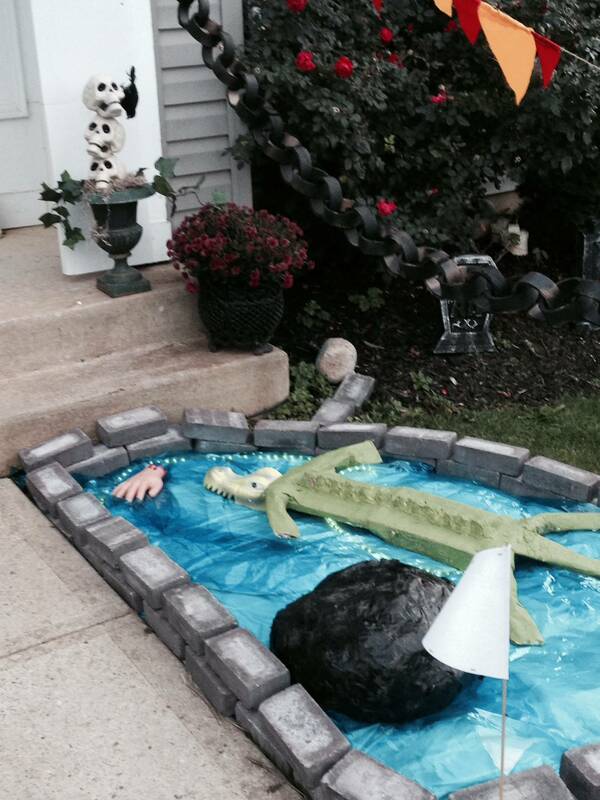 For even more party planning ideas, check out our Happily Never After Pinterest Board here. It is s filled with ideas for recipes, costumes, decorations, etc. 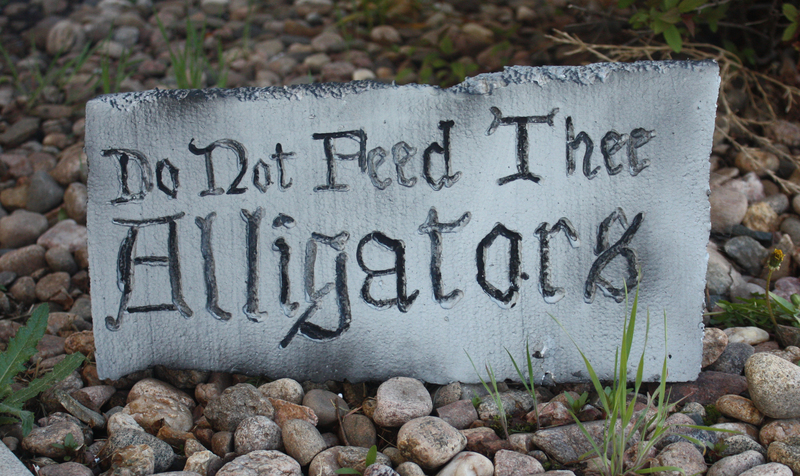 for the perfect Happily Never After party! 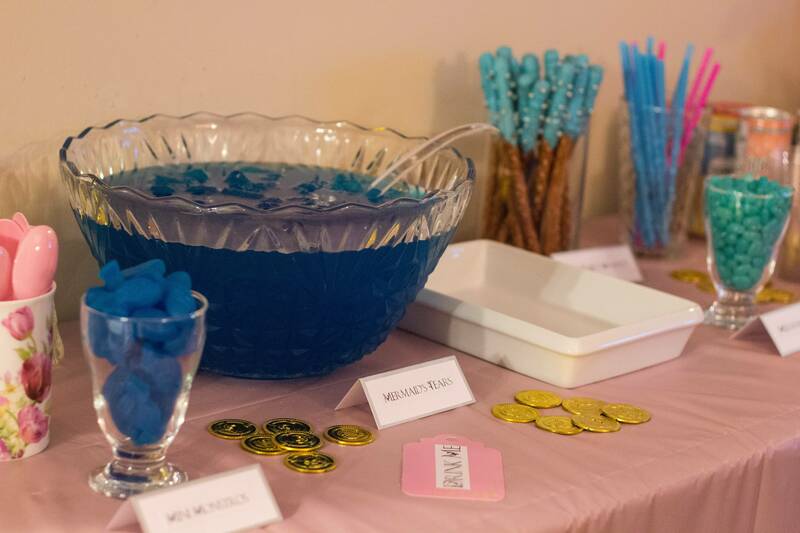 Once you order, in your mystery packet you will receive directions and/or printables to make unique and original decorations specific to your party! 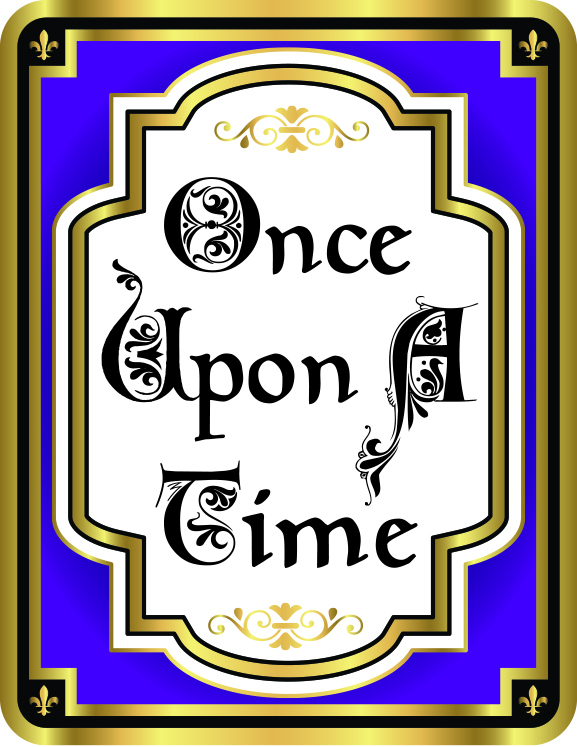 • Once Upon a Time (on front door) and Happily Ever After (on door as exiting) signs. 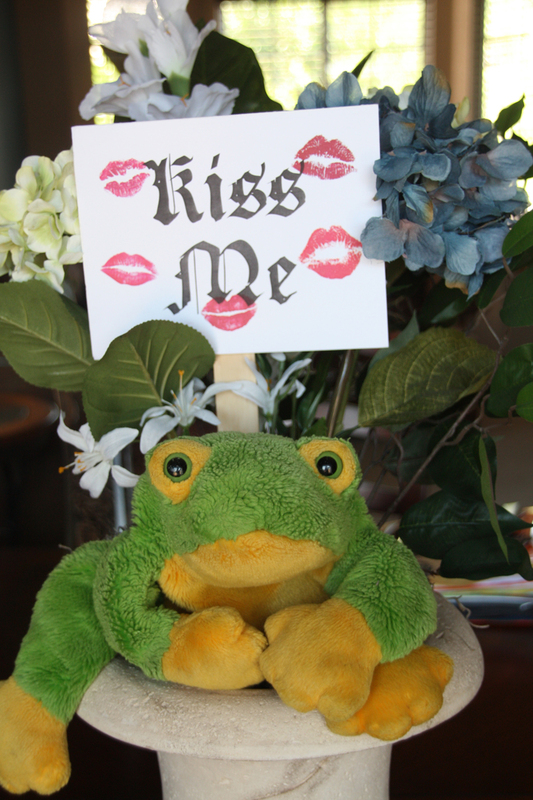 • Kiss Me! (2 designs). 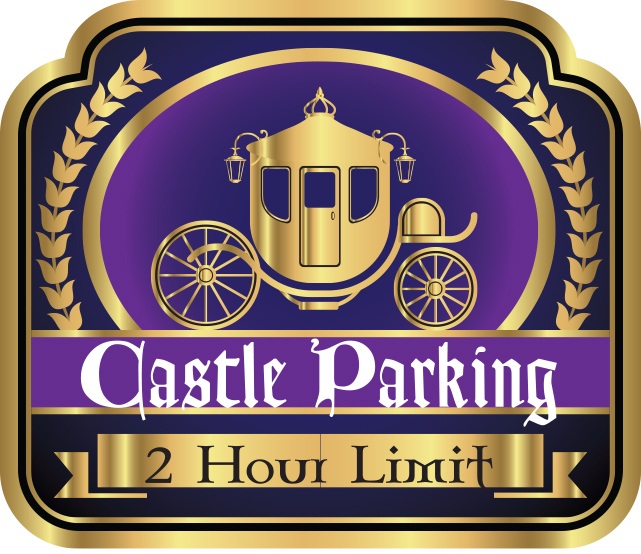 • Castle Parking, Privy, Queen's Quarters, Grand Ballroom signs. • Simply print out and hang around your castle. 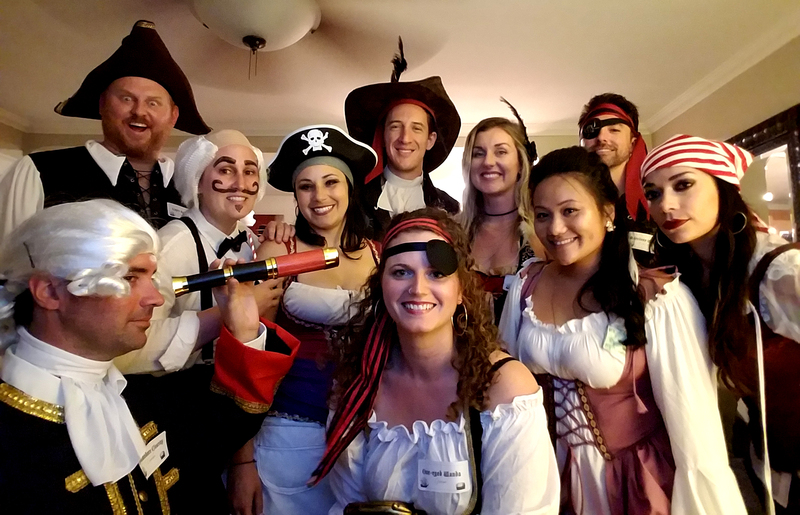 Happily Never After was my first murder mystery party and it was a success thanks to Night of Mystery’s amazing package! 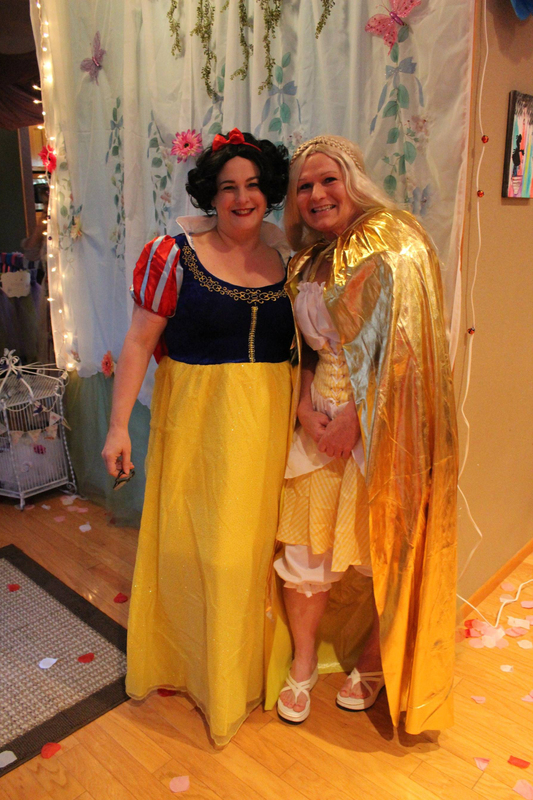 All of the princesses and maidens who attended The Fairest of Them All Ball were so impressed with all of the extras that were included in the package. The mystery part lasted about 2 hours within our small group. All of the ladies couldn’t stop talking about how much fun they had – the most asked question of the night was when we were going to have the next one! We really enjoyed the all-female mystery and we’re looking forward to seeing more all-female themes! 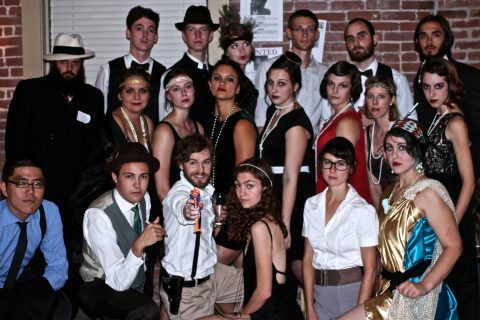 This was our 3rd murder mystery party from NightofMystery and they just keep getting better. 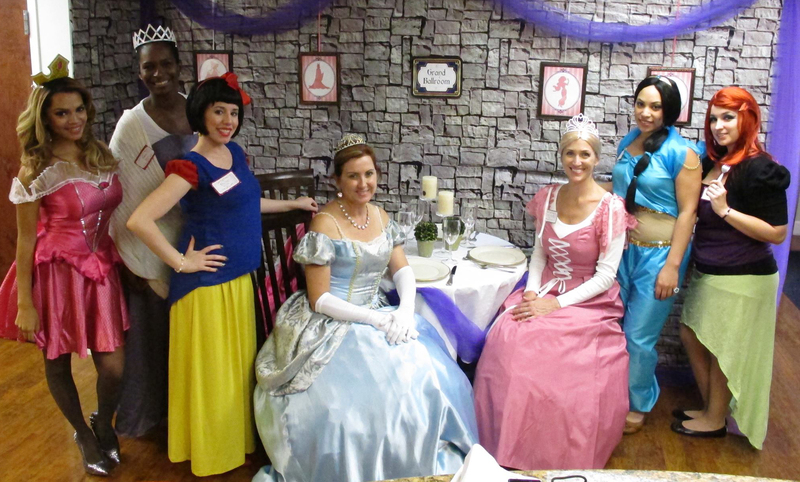 Our parties have been for teen girls in the middle school age group from 11-14 yrs old and the Happily Never After theme fit perfectly. At this party we had exactly 19 participants and the one who passed on played a second role as the detective investigating her own murder! After the party there was a sleepover for many and it was a great weekend for all.